The DTB were joined by Club chief executive Erik Samuelson, Club director Mick Buckley and Volunteer Liaison Officer, Rick Thomas. Apologies were received from Charles Williams from the Dons Trust Board, Andrew Howell from the Secretariat and Joe Palmer, Chief Operating Officer, who was representing the Club at a sponsors’ event. Mark Davis opened the meeting and introduced Rick Thomas, Volunteer Liaison Officer, who was invited to the meeting to brief the board on his role. Rick explained that he started in his post in January 2018 and the main issues volunteers have raised with him since he started include a code of conduct, social media, changes to protocol and the way things are run on match days, and how these have been perceived by both the team leaders and members. They would also like some form of accreditation for volunteers and formal training and to know who their main contact at the Club is, aside from Rick. Looking to the future, Rick considered that recruitment and retention of volunteers would be a key issue. Some volunteers have told him they’re going to step down when the Club moves to the new stadium. In some cases, this is because they want to take the opportunity to enjoy the football as a fan rather than in a volunteer, but the lack of parking at the new stadium was also cited as a reason. Rick also noted the recent drop in volunteers in the turnstile team and explained that he had put out adverts out to fill these roles. A code of conduct for volunteers has been prepared in recent months. Team leaders are now happy with the draft but consideration needs to be given to this being a two-way agreement, setting out volunteers’ expectations of the Club as well as the Club’s expectations of volunteers. 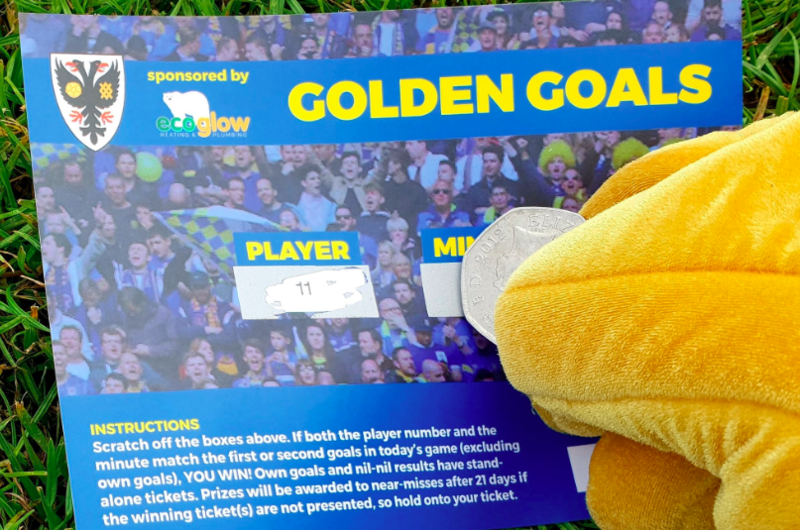 Once finalised, volunteers will be asked to sign the code. Rick then responded to questions from the Dons Trust Board. One question was whether there was evidence of a net increase or decrease in volunteer numbers, and it was agreed that we needed to track data on this over time in order to build up a picture on this. Rick Thomas left the meeting, with thanks from the Dons Trust Board for attending. Erik Samuelson responded to questioning on football matters from the DTB and Erik noted that the FCB are continuing the monitor and review the situation. Also in relation to the FCB report, the board noted they are pleased to hear that Ivor Heller is recovering well after his operation. The board noted their thanks to the Club for introducing free sanitary products in the women’s toilets at the Oxford game. This will continue for all future games and the board thanked Jane Lonsdale and the Diversity and Inclusion working group for mobilising this initiative. Lastly, the Board thanked the Club office staff for mailing out the 150 Junior Dons gifts. Erik responded to questions from the board in relation to his stadium update report. The Board voted unanimously in favour of authorising the Club to take ownership of the land prior to the culvert being completed. Mark then asked the Stadium Working Group for an update on the timeline around the fans’ consultation. The group are preparing a paper for the next board meeting setting out the consultation options. They believe they are currently on course to go to consultation in January. The Board were updated on the EFL-convened mediation with Milton Keynes [see statement from the Dons Trust board dated 17 April 2018 for background]. The Board noted that the mediation, in which the Club and Trust are being advised by Jim Sturman QC, is underway. Recognising that the Club was required, as is normal in these situations, to enter into a non-disclosure agreement regarding the conduct of the mediation, the Board acknowledged that no further comments could be made until such time as the mediation is complete and any outcome thereof can be put to the membership to vote on. The Board discussed what arrangements might need to be made in the eventuality of a home match against Milton Keynes in either the FA Cup or Checkatrade Trophy, recognising that such a fixture could take place before the mediation is concluded. The Dons Trust Board discussed the upcoming SGM and the progress towards achieving required number of members voting on the Restricted Action. The secretariat agreed to make clear in communications the significance of a proxy vote, as some members had been confused about this. Opportunity to introduce candidates for 2018 elections. The board also agreed to arrange hosting an open meeting with members and fans at a venue in Wimbledon, prior to the upcoming SGM. The board confirmed that the Dons Trust AGM will be held on 13 December 2018. There will be an official announcement to come. Mark noted that any members’ resolutions would need to be submitted by noon on 15 November and submitted in accordance with Rule 23 of the Dons Trust Constitution. The board reviewed and approved the minutes from the September Board meeting. 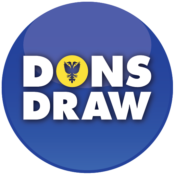 The board noted that the changes to the upcoming Dons Trust election timetable, with the deadline for nominations of 13 October being put back, were due to an administrative oversight resulting in the nomination papers not being published on time. Under AOB the board discussed the proposed refinements to the AFC Wimbledon logo, as trailed with members ahead of the April SGM. The board were minded to consult with members at the AGM on the proposed changes. Cormac van der Hoeven and Terry Langford have agreed to represent the Dons Trust and AFC Wimbledon at the Remembrance Sunday ceremony in Wimbledon. Tim noted the Supporters Direct survey for any supporter to complete consultation on the sale of Wembley and agreed to ask the Club to publicise this on the website. This entry was posted in Meeting Summaries, News and tagged board meetings, Dons Trust Board, DTB, DTB board, summary. Bookmark the permalink.